How long has it been since you bought a newspaper or magazine from a store? If you have an iPad, I bet you don’t pay much attention to offline media anymore — it’s really much more convenient to read the latest news from an electronic device. The publishing industry is now dominated by just three products: newspapers, magazines and books. Newspapers are usually published daily, magazines — every month, and books — at the most, once a year. The frequencies that each are published differ and each editions’ categories are also different. A newspaper contains today’s news, but by tomorrow the information will likely be outdated. One by one, online news portals are now replacing all newspapers. More often than not, people get all their news online. A monthly electronic magazine is usually a more attractive and a more colorfully designed publication than its paper counterpart. It contains large individually decorated reviews and analytical articles with a lot of graphics, interactivity, audio and video inserts, and so on. It is hard to produce a magazine similar to that of a news website, but is not necessary to do so. Each goes in completely different directions. The purpose of magazines are for mostly offline reading, allowing readers to download an issue once so they can continue to enjoy it in any location with no need for Internet access. It allows the user to spend as much time as they need for thoughtful reading during the whole month, while waiting for the next issue of the magazine. MacBOOM! 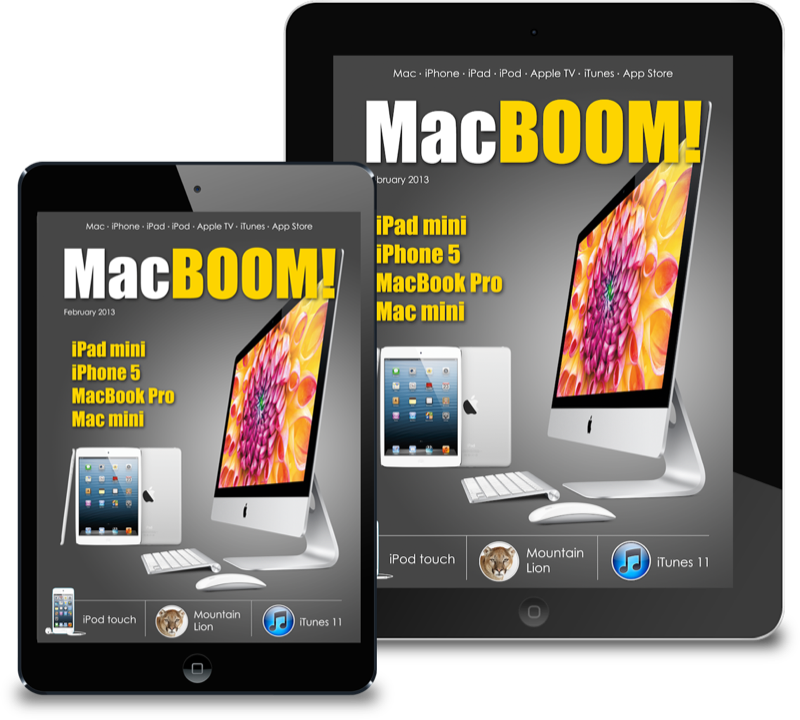 magazine is a powerful, high-quality and interactive magazine for iPad. This colorful interactive, manually designed edition is compatible with all generations of iPad and iPad Mini. MacBOOM! 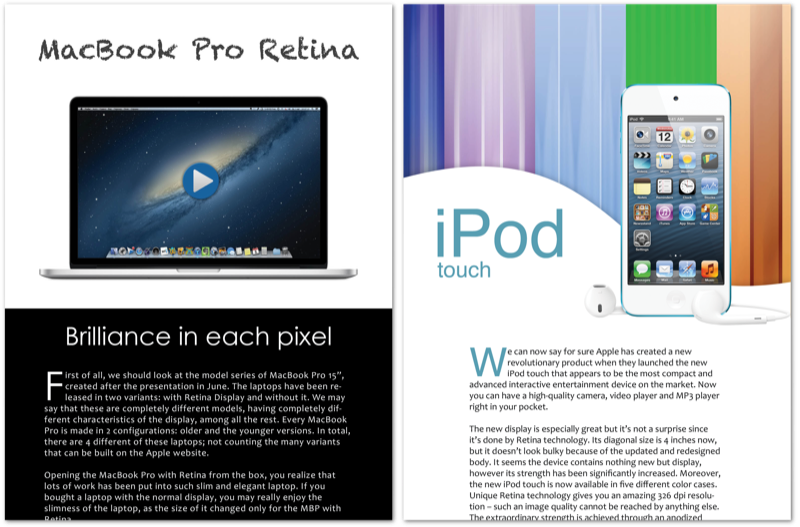 is the magazine about Apple technologies and Apple products. 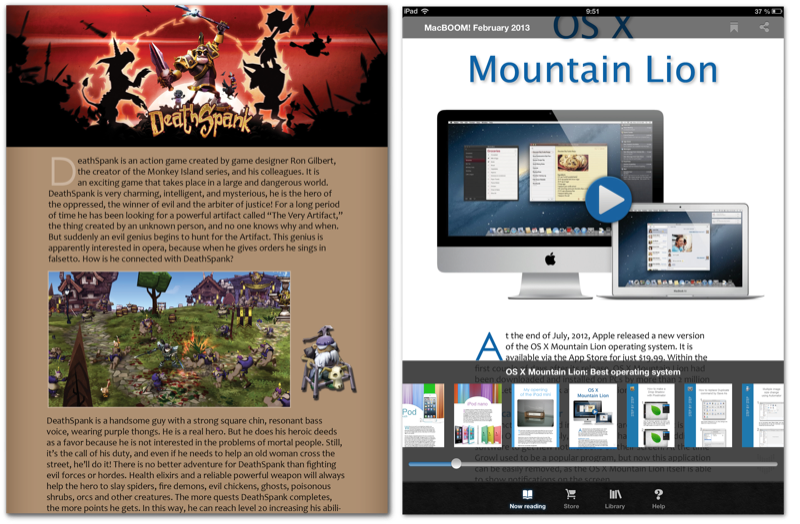 Each new edition is published monthly and is packed full of interesting and useful information: articles, analyses, hardware news, Mac, iPad, iPhone, iPod applications and game reviews, information on Apple TV, and much, much more. After downloading and installing the application, you will find a free preview issue that can be downloaded to your iPad so you can take a look at the magazine and make a decision if you like it. 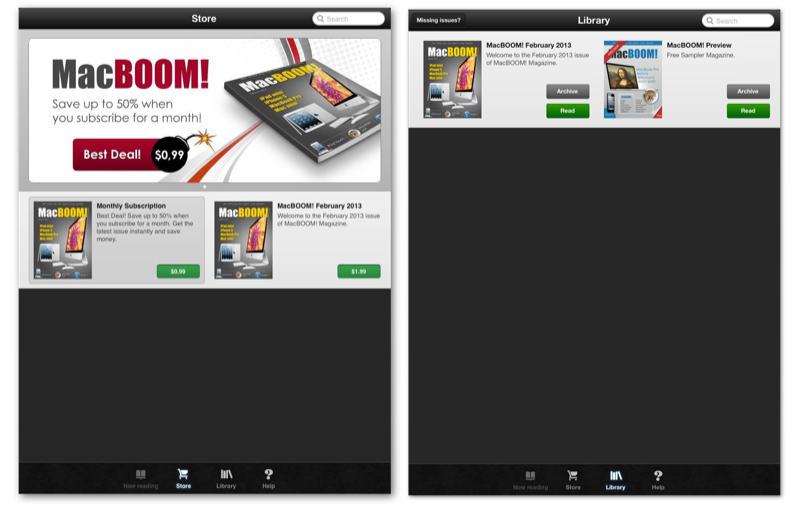 Then in the Store section of the application, you can buy an issue or subscribe to the magazine. A single issue is available to buy for just $1.99. If you want to save 50% you can buy a 1-month subscription for only $0.99 that will be renewed monthly with no long-term commitments, so you can cancel at anytime. The interactive magazine is created and designed for iPad so we are sure you’ll have no doubts about your decision to join the rest of our readers! MacBoom! is available on the AppStore and is optimized for use on the iPad and iPad Mini. MacBoom! is free to download with single issues costing $1.99 or a 1-month subscription for $0.99. This is an advertorial post that has been modified to suit Tapscape publication standards.